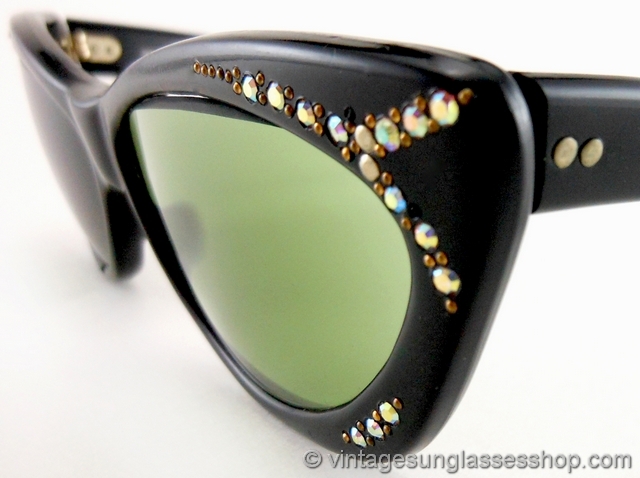 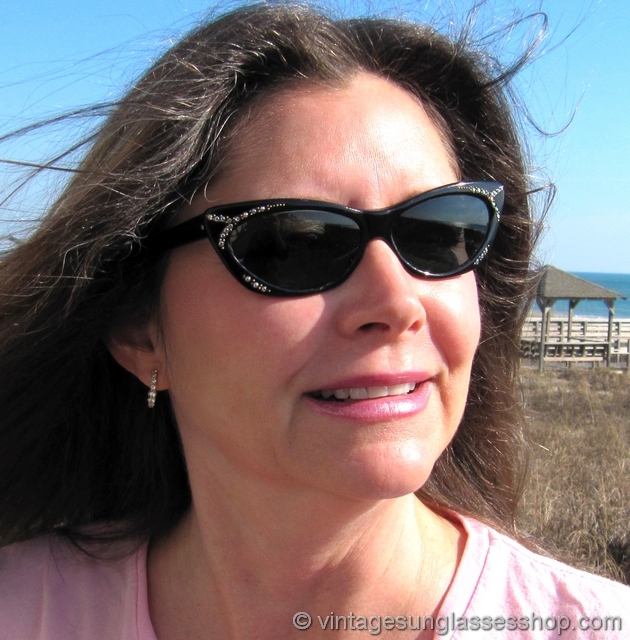 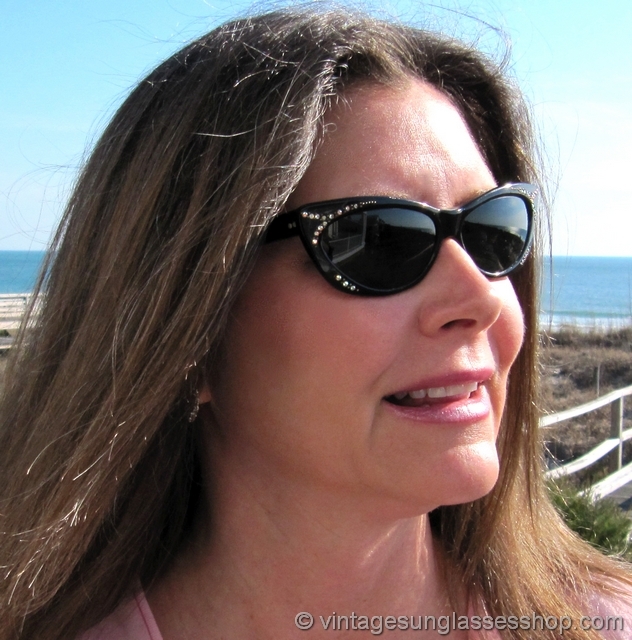 Vintage French cat eye sunglasses c 1950s feature a great gloss black frame decorated with plenty of multi-colored rhinestones, and iconic design in midcentury women's sunglasses with top of the line French quality. 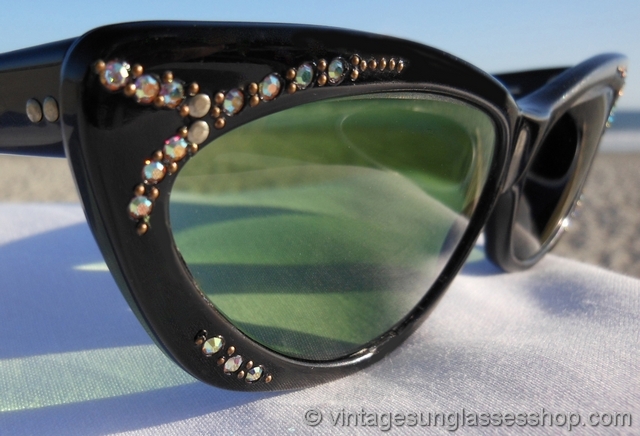 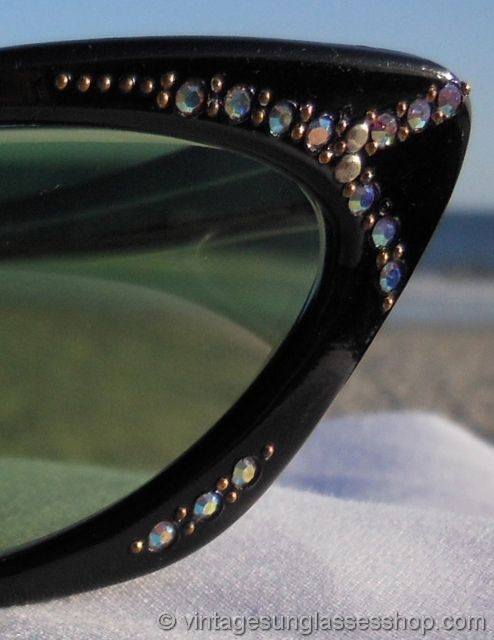 High quality rhinestones decorate both temples as well as the lower frame, giving these more than the norm design flair and glitz still so popular today. 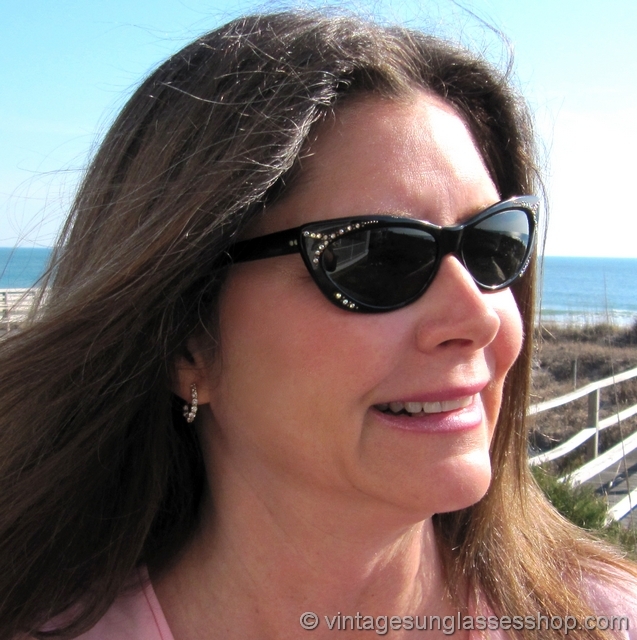 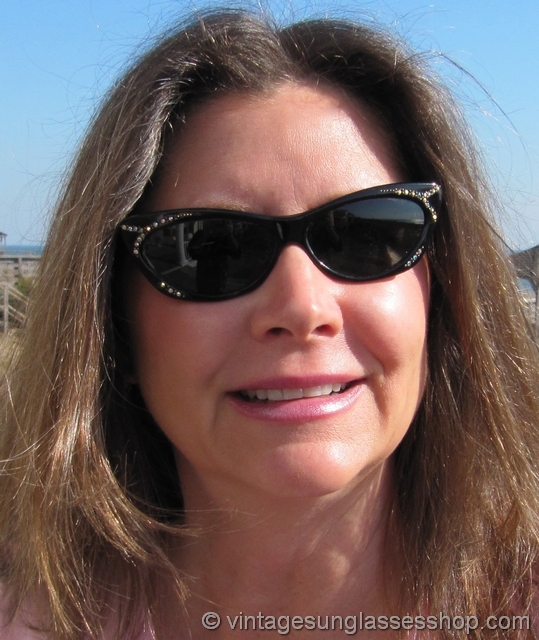 The French nylon frame measures approximately 5.25" temple to temple, and the lenses measure approximately 2.0" x 1.125" at the widest points. 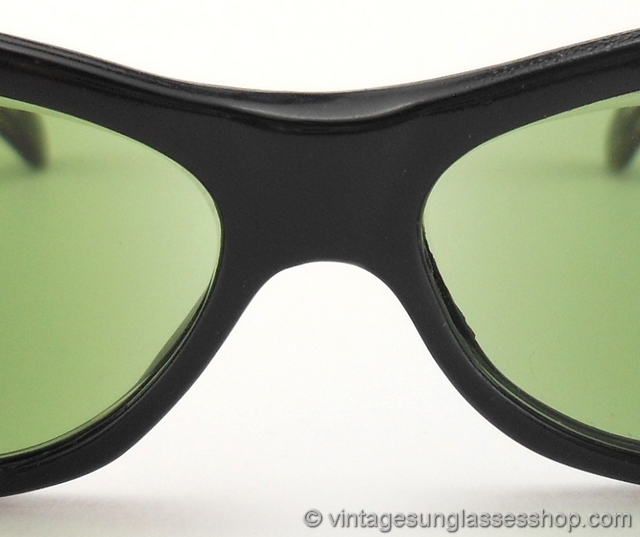 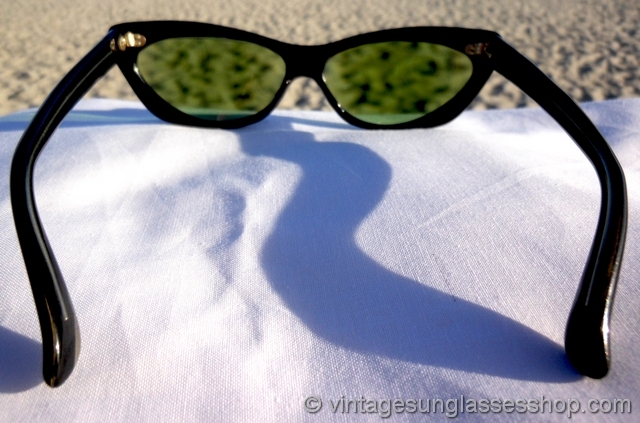 The inside of one stem is marked Made in France, part of a fine collection of 1950s and 1960s sunglasses in Atlanta, GA.